UNITED NATIONS: The slow-moving UN Security Council reform is a “very divisive” and “contentious” issue and all the member States have to walk the extra mile as they work on divergences and commonalities to ensure the process does not become a “zero sum game”, General Assembly President Maria Fernanda Espinosa has said. The Security Council reform “is very much a member State driven process. My role as President is to accompany, to lead, to make sure that the process continues, to make sure that it is inclusive and that it is transparent,” Espinosa said at a press briefing here on Friday. She was responding to a question by on the long-pending reform of the powerful 15-nation UN organ, with little progress 10 years after the Inter-Governmental Negotiations (IGN) began. “It is not an easy issue. I want to be very open and frank with you. It is very divisive, it is contentious,” she said. She described the two co-chairs as “excellent” and lauded them for putting a lot of effort and working, engaging with all member States in “trying to pull together the different positions, trying to look at the commonalities to see how we can tackle the issue in order to avoid the zero sum game”. 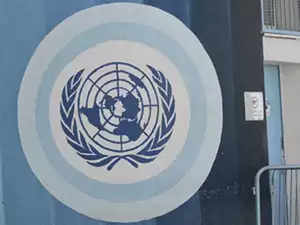 In January this year, India’s Permanent Representative to the UN Ambassador Syed Akbaruddin said at an informal meeting of the Plenary on the Intergovernmental negotiations on the question of increase in the membership of the Security Council that no process known to UN members had traversed “winding pathways” in the manner as the Security Council reform process had. “In terms of length, it is unparalleled. In terms of inertia too, it has no peer,” Akbaruddin had said, noting that it has been an “arduous journey” given that it has been more than 10 years since the start of the IGN process in 2008. Espinosa acknowledged that people were getting “impatient” after 10 years of the IGN but said “this is the process we have and I think that we have to make sure that the process continues, that all member States engage and we pull a little bit, we push and push and walk the extra mile”. She, however, did not give a direct reply to a question on when the Council will get reformed and on her expectations from countries such as India, Germany and Japan seeking to become the permanent members of the Council. “Sometimes, perhaps I shouldn’t be saying this because I’m supposed to be neutral, but sometimes we see the Security Council reform as an either/or and a black and white issue but there are so many things that we can do to improve the Security Council working methods and we can do it now without any major changes,” she said. Espinosa said she had a “lot of hope” on what the 10 elected members of the Council were doing. “I think that they (elected 10 members) are de-facto making some meaningful changes in improving the working methods and the transparency of the Security Council,” she said. Akbaruddin said last week that while the world was not what it was when the reform process began, the objections to moving forward remain the same. “While the global challenges of the 21st century have multiplied, we remain divided even about the process to adopt in order to move forward,” he had said. Akbaruddin also said that on the issue of ‘Categories of Membership’, a total of 113 Member States, out of 122 who submitted their positions in the Framework Document, support the expansion in both the permanent and non-permanent membership categories of the Council. France, which assumed the rotating presidency of the Council in March, has reiterated its support for India, Germany and Japan as permanent members of an expanded Council, saying enlargement of the powerful UN organ in both permanent and non-permanent categories is the “first crucial part” towards the UNSC reform. France has maintained that if the crises of recent times have confirmed the centrality of the UN, they have also reinforced the need to make the organisation more effective and more representative of the current balances in the world. “That is why France pushes for the expansion of the Security Council by supporting the accession to a permanent seat of Germany, Brazil, India, Japan, as well as a greater presence of African countries,” according to the Permanent Mission of France.